Erin has been immersed in the industry since 2005. Her passion, experience, and advanced education has lead her to becoming one of the top in the industry for Bridal Hair & Makeup working with some of the leading vendors in the industry. This same passion inspired her to establish a company of her own, Unveiled Bridal Beauty. She is committed to assisting brides all over Southern California reach their full beauty potential. You may have seen her work featured in Exquisite Weddings Magazine, Style Me Pretty, 100 Layer Cake, Green Wedding Shoes, and other various notable wedding blogs. In the salon Erin excels at achieving the perfect blonde through various techniques including balyage, highlighting, and hairpainting, all while improving the integrity of the hair. Her philosophy is to help each client reach their beauty goals through listening to their wants and needs. Her knowledge and creative talent are showcased not only in a range of blondes, but multiple extension techniques, Global Keratin Smoothing Treatment, and Styling. 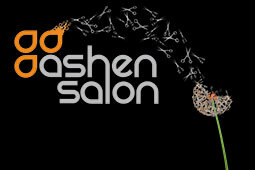 She prides herself on the ability to create the best, most maintainable look individualized for each and every client.